Undoubtedly, adding a background music will make your video more special and wonderful if you are going to share on Instagram, Facebook and so on. Among all the music services in the market, Spotify is one of your best sources to get your favorite song. It is not only free but also offers plenty of track selections, music discovery features. Do you want to find out how to use Spotify on video editing apps? If so, please just look at this post. All streaming music today usually can't be played outside the specific applications. Spotify is not an exception. Even if you subscribe to the premium subscription, you can only cache the OGG Vorbis to your local devices, but can't move them elsewhere. One obvious reason is that Spotify songs are combined with the digital rights managements protection, under which you are required to input the Spotify account and password to authorize the songs for playback online. Another reason is that the OGG Vorbis format is encrypted too while storing on the computer. You are impossible to locate them without decryption. You are not alone in this case, I have found many users got similar issue from the Spotify community. If you want the track, you can purchase it from another source such as iTunes and try the free music selection from Last.fm etc. to see if you can find it. It will cost you much money and time if you need multiple songs. 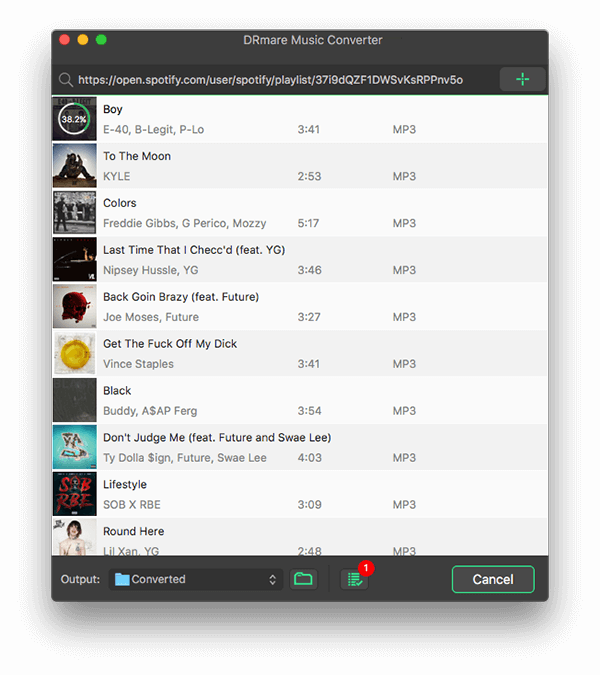 To get the Spotify songs for free quickly for importing to your videos, you can also use a third-party tool to download them offline within a few clicks. 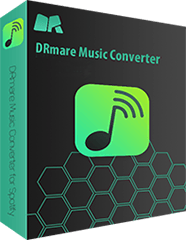 DRmare Spotify Music Converter for Windows/Mac is designed to capture all kinds of Spotify songs online quickly including classical, jazz, hip-hop and blue key category etc. With the well-designed features, you don't need to sacrifice any converting speed or audio quality. All the info including the ID3 tags, metadata will be kept during converting in batch. 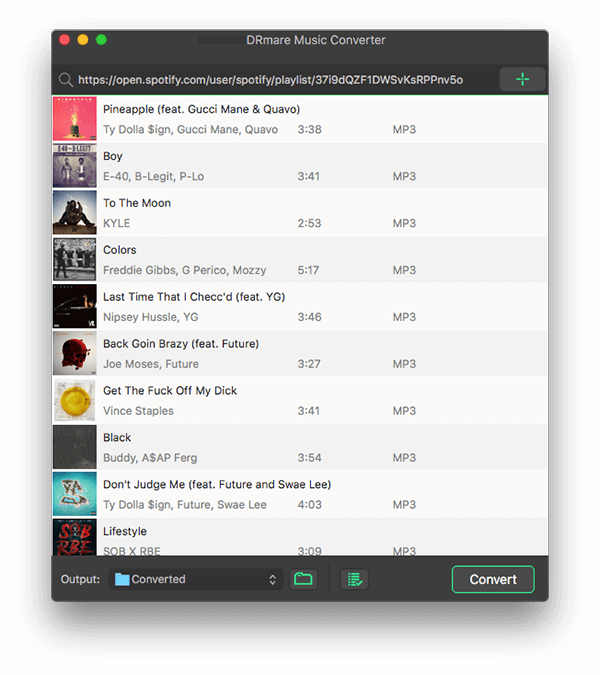 DRmare software supports to extract the Spotify songs offline so that you can import them to any video apps on your computer or you can transfer them to your mobile devices such as iPhone for editing. The trial version works well with any Windows and Mac systems with the latest version Spotify app installed. If you are interested in it, why not download and try it out by yourself? It is totally free, you won't lose anything. DRmare software depends on the Spotify app to work. When you run DRmare software, you should see the Spoitfy launches automatically and you just need to drag and drop the tracks you want to the DRmare converter main interface. Or if you have already got the link of the songs, you can also click "+" button to add through the URL directly. Depending on the video apps where you want to use the Spotify music, the formats may vary. 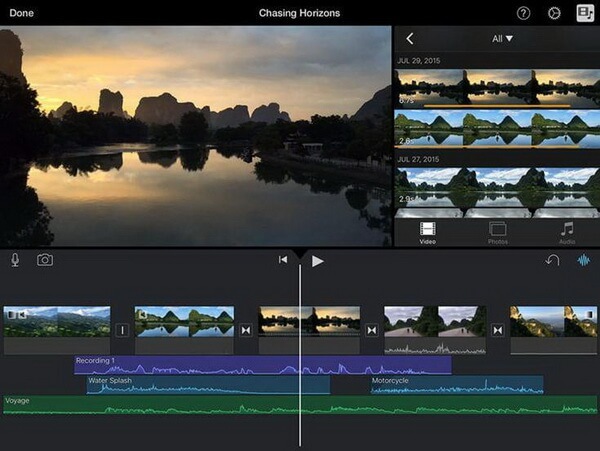 Take iMovie for example, it supports MP3, M4A, WAV, AIFF and AAC. In case you don't know what formats are supported on your video editor, you can play safe to choose "MP3" which is an universal format. After that, you can click "Convert" to start the converting process. Generally it won't be long to get your songs for its 5X batch converting speed. But to make it run more smoothly, please disable all your antivirus and firewall. Andy please don't use any proxy settings on your network either. Now you can use the DRM free Spotify tracks for any purposes. 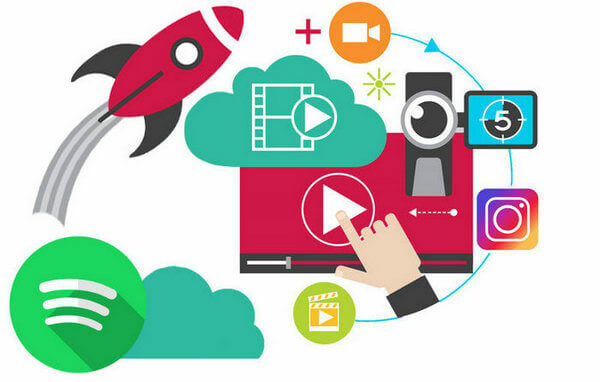 To put Spotify songs to a video or slideshow, you can use many free video editors such as Windows Movie Maker, GoPro Studio, iMovie, Lightworks, PowerDirector. Actually all of them work in similar ways. As an Apple Fan, here I'd like to take iMovie for example to show you how does it work. Step 1. Launch iMovie from your computer or iPhone to open your project. If you haven't created a project, you can also click "Create New" menu to create a new one. Step 2. You can add clips or photos from events or your Photos library. And then you can adjust the order of the files on the timeline and split/cut the video files. Step 3. 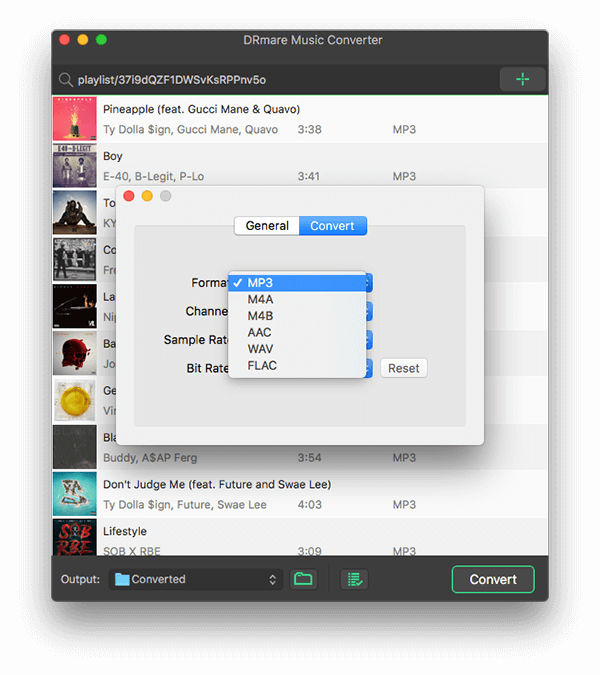 Import the converted Spotify audio files to iTunes. After that, you can click "Audio" menu from iMovie > select "iTunes" from the sidebar > Browse to find the Spotify music you want and then adjust it on the timeline. That is it. So easy, right? To create a masterpiece, you need to reedit the videos and audios carefully. If you encounter any other technical issue, you can feel free to let's know on the comment section below, we will do our best to help you anytime.